For some organizations, a short-term outlook is best, or at least sufficient—but not for most. Deferred rewards, with the possibility of failure, are unavoidable for truly ambitious efforts. This is why Peter Drucker was at pains to lay out the proper way to think about the long term—which, he noted is “not simply the adding up of short terms.” Drucker summed up long-range planning as “risk-taking decision making.” More specifically, he advised, it is “the continuous process of making present entrepreneurial (risk-taking) decisions systematically . . . organizing systematically the efforts needed to carry out these decisions, and measuring the results of these decisions against the expectations through organized, systematic feedback.” What follows are the stories of three entities—Amazon, a Massachusetts-based nonprofit called Roca and the city of Portland—that have met those high standards. How do you play the long game? When we see a leader triumph after what looks like a series of stumbles or at least a long period marked by little more than doubts and delays, it can be tempting to ascribe to that person a supernatural wisdom. It was all part of the plan. She knew it would unfold like this. But no one can see around corners. Leaders who keep the long term in mind are preparing for possibilities, not certainties. They are planners, not prophets, and their vision can’t be too rigid. The world changes too much for that. Rather than an ability to “forecast,” focusing on the long term requires other virtues: patience, preparedness, nerve and daring. People who do their homework and prepare for contingencies can often find the strength to stick to a course of action long after the rest of us would lose our nerve. They take intelligent risks.  For some organizations, a short-term outlook is best, or at least sufficient—but not for most. Deferred rewards, with the possibility of failure, are unavoidable for truly ambitious efforts. This is why Peter Drucker was at pains to lay out the proper way to think about the long term. You can’t divine it in a crystal ball, he advised, but you can prepare for possibilities, course-correcting as necessary along the way—all while keeping your eyes on the horizon. To be clear, Drucker wasn’t dismissive of the need to be effective in the immediate future. “You have to produce results in the short term,” he declared. What follows are profiles of three entities—one company, one nonprofit and one government—that have met those high standards. The Drucker Institute’s Phalana Tiller visits with Wharton professor Howard Kunreuther to discuss ways to make more effective long-term decisions. Some years ago at Blue Origin, the spaceflight services company that Amazon founder Jeff Bezos runs on the side, one of its rockets blew up on the pad during a test launch. It is an orientation—understanding that setbacks happen, but not letting it divert you from believing that the sky’s the limit—that drives Bezos’s main business, as well. From the moment of Amazon’s founding, the entrepreneur had a long game in mind, one that extended well beyond selling books. “Work hard, have fun, make history,” is his famous three-part exhortation, and if some see imperfect devotion to part two, given Amazon’s notoriously hard-driving culture, no one denies the sincerity of parts one or three. Today, Amazon runs a global marketplace for nearly every consumer good, produces streaming video in the form of original programs and movies, and operates a global empire of data centers that undergird much of the business world’s shift to cloud computing. Testing the patience of shareholders, Amazon continually rolls today’s profits over to tomorrow’s ventures. But what does that mean on a day-to-day level? Jeff Bezos, Amazon’s founder and CEO, is famous for his long-term vision. But the company’s goals are driven by meeting short-term targets, backed by empirical data. One way you can tell you work at Amazon is—as Champlin’s story of a trial gone wrong would suggest—you’re surrounded by rampant experimentation. In other words, you seize the long term by constantly testing and piloting and iterating in the short term. If an idea proves that it has merit, you take it to the next step. If not, you drop it—and fast. What keeps such experimentation from becoming a cavalier use of money is a relentless focus on metrics and empirical evidence. Even a long-term vision must meet short-term targets if an investment is going to continue. Once an idea has won out, Amazon is willing to put up with short-term losses to reach its ultimate aim: long-term customer happiness. “It’s about getting you hooked on the ecosystem,” says Ted Kwartler, who held numerous customer-service-related positions at the company, including one that involved creating “text mining” technology—an experience he parlayed into a book on the subject—to look for important mentions of Amazon on social media. One was from a woman who’d tweeted that a delivery failure by Amazon Fresh was going to ruin her Thanksgiving dinner. The solution? Kwartler’s team sent her several hundred dollars on an electronic gift card for a nearby Wal-Mart, which had the items she needed. I see a lot of company founders come out with lofty visions, but they’re really unprepared for the reality of financing and showing concrete milestones. Most of us need to crawl, walk, run. Another way that Amazon’s long-range thinking manifests itself: Employees are bent on creating products and services that are truly durable. 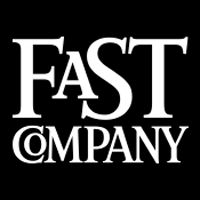 “We tried very often to put quality into things, knowing that they would be there for the long term,” says Simone Brunozzi, who was a technology evangelist for Amazon Web Services for four years. Despite Amazon’s undeniable success, the company’s overriding devotion to long-term customer happiness isn’t for everyone. For instance, while many employees love the intensity of the culture that Bezos has created, others find it difficult to thrive in, and turnover at Amazon is among the highest at large tech companies. What’s more, as inspiring as Amazon’s audacity can be to would-be startups, it’s easy to go astray in trying to copy it. Even at Amazon, while the goals might be set in years, progress is measured by the week, even by the day. When Molly Baldwin founded the nonprofit Roca in 1988, her mission was to combat teen pregnancy in Chelsea, Mass., a town of 36,000 just across the river from Boston. But she soon found her work expanding to include the men who were causing these pregnancies. Most were teenagers, many in gangs, who were already tangled up in forms of delinquency that made for good odds that they’d be sent to prison for a long time, perhaps for life. To set them on a better path, caseworkers would approach these at-risk youth on the streets and try to engage them in conversation—lots of conversation. The hope was that they would be lured over to Roca’s community center, which might provide them with counseling or health services or just a place to socialize with other kids their age. The intention was to make them understand that they always had a place to go, that Roca considered them important and would keep giving them a chance to set themselves straight. [Young people would] come to Roca and feel really good, and then they’d go home and deal drugs and shoot people, and we thought: This is not the point. By 2003, Roca had brought in many millions of dollars in foundation funding and public grants. Baldwin and her team were overseeing a wide variety of programs in healthcare, family outreach, immigrant rights, conflict resolution (using Native American peacemaking circles) and other areas. At this time, the Edna McConnell Clark Foundation, one of Roca’s funders, had begun working with its grantees to examine their “theory of change”—that is, their idea of how to bring about the transformation they wanted to see in the world. In 2005, after undertaking a “theory of change” analysis, Roca came to some hard conclusions: Its data gathering was insufficient, its focus overly diffuse and its results unsatisfactory. In the years that followed, Baldwin steadily narrowed Roca’s target population and mission. Going forward, the sole focus would be on severely at-risk youth between the ages of 16 and 24, kids who’d gotten caught up in the criminal justice system and who needed a final chance. To figure out what it takes, Roca increased the rigor of its data gathering. Caseworkers now have to record how many times they’ve approached a young person, whether the young person agreed to speak to them, whether he or she has agreed to more contact, how many days at a time the young person has held a job, how many jobs were offered, what sort of jobs, how many days the young person has spent in or out of jail, and on and on and on. Nobody loves paperwork, and Roca’s caseworkers are no exception. But—not unlike at Amazon—hard numbers have become essential to figuring out what works and what doesn’t over the short and long term. Much has worked well. Among young men who’ve been with Roca for two years, 91% have stayed out of jail, and more than 80% have managed to keep a job for at least six months. Meanwhile, from the data gathered over the past decade, Roca has gleaned some important insights. One: If the organization can keep a kid out of prison for 18 months, that person is more likely than not to stay out for five years—and, with that, for life. To help, Roca offers young adults tutoring in order to complete high school or a GED; cognitive behavior therapy to help them to manage their emotions and impulses; transitional employment program to teach them how to hold down a job; and, most important, an ongoing relationship with a supportive youth worker. Another data-driven insight: Two to three contacts per week moves a kid through behavioral change, but more doesn’t produce better outcomes, and fewer just doesn’t work. A third: If you keep a young person in intensive programs for more than two years, he or she won’t just stall but actively regress. “If you figure out you can be here forever and we’ll always forgive you, then you start doing really dumb things that you were doing before you came to Roca, like dealing drugs,” says Lili Elkins, Roca’s chief strategy officer. As it turns out, the best way to help someone for the long term is to not help forever. Fifty years ago, before it became the envy of mayors and urban planners everywhere, Portland was following the path of most American cities. It was losing many of its most productive residents to nearby suburbs. Downtown was where people worked—not a place to live or a destination for fun. City planners were focused on how to get drivers in and out fast. The major infrastructure project on the horizon, known as the “Mt. Hood Freeway” (although it wouldn’t take anyone to Mt. Hood), was going to run through the southeast part of the city, knocking out a chunk of housing stock. Yet a countercurrent was gaining force. In municipalities across the country, walkability and clean air were becoming priorities, and more and more city dwellers wanted to revive their downtowns and limit sprawl. Across the state, Oregonians were starting to think in new ways about their urban spaces. What if cities were to enact strict boundaries on their growth and instead encourage density and public transportation? In Portland, this change of mindset was producing a new crop of activists, among them a young lawyer named Neil Goldschmidt, who was gaining renown for efforts to arrest the freeway project. “It was a time of idealism, coming out of the ’60s,” says Ronald Buel, a Wall Street Journal reporter who’d written extensively about transportation and who was friends with Goldschmidt from when the two were students at the University of Oregon. One of Oregon’s most forceful supporters of preservation and environmental stewardship was a Republican governor, Tom McCall, who in 1973 helped to push through legislation mandating that every city in Oregon create an “urban growth boundary” in order to concentrate development and protect outlying farmland. On the urban side of the line, large lots would have to be subdivided in order to get residential construction permits. On the rural side of the line, small lots would be denied such permits, ensuring that properties remained farm-sized. While commissioners and regional government associations hashed out where to draw the line, Portland got busy on planning for a denser city. Officials had already agreed to the outline of a plan for the city’s downtown, one that called for an attractive and pedestrian-friendly retail core with abundant public transportation. The push for density was one more strike against the Mt. Hood Freeway, which many believed would only encourage sprawl and long-distance commuting. In 1974, after years of fighting, the city council finally killed off the freeway, and the many homes and neighborhoods in its path became candidates for restoration and investment. Leading the charge on turning the city around was Goldschmidt. He was now Portland’s mayor, a post he’d won only two years after his election to the city council. As Goldschmidt saw it, Portland faced serious threats over the long term. Old people and young, single people were growing as a share of its population, while families with children—the backbone of any healthy city—were on the wane. And so they went to work. A charismatic and energetic politician, Goldschmidt brought dozens of people into politics—including Ron Buel, who left the Wall Street Journal to manage Goldschmidt’s first campaign—and he tackled his priorities with gusto. For the downtown plan, Goldschmidt cajoled local business leaders to buy into a plan to condemn three downtown blocks in order to create a central square with a nearby transit mall and a large Nordstrom outlet. On matters of citizen participation, Goldschmidt formed a bureau of neighborhood organizations to allow for greater involvement in planning and budgeting. He also required every city department to form a budget advisory committee that included ordinary members of the community. Finally, working with Oregon’s governor and its two U.S. senators, Goldschmidt helped get Washington to redirect the Mt. Hood Freeway money toward light rail for the city. All of these efforts entailed upfront investments with uncertain payoff years away. Tearing up parts of downtown for a new core would cause great disruption to businesses in the area. Expanding the influence of neighborhood councils and ordinary citizens on government heightened the risk of gridlock and NIMBY-ism. Killing off the Mt. Hood Freeway meant the loss of millions of potentially irreplaceable federal dollars. Because of his success as mayor, Goldschmidt wound up serving as Secretary of Transportation under Jimmy Carter from 1979 to 1981 and as Democratic governor of Oregon from 1987 to 1991. Sadly, Goldschmidt’s personal reputation would be undone by a sexual abuse scandal, and he’d fade from the scene. The story of Portland’s success, however, cannot be understood without reference to the remarkable achievements in his public life. Today, while Portland still has its challenges—outdated infrastructure, affordability pressures, heavy traffic—it routinely tops lists of the best places to live in America. Its neighborhoods and downtown are famous for their walkability, and its urban growth boundary, despite small expansions, has encouraged infill and density. Peter Drucker counseled that effective long-term planning requires understanding what he called “the futurity of present decisions”: What do we have to do today if we want to be in some particular place in the future? And what will not get done at all if we do not commit resources to it now? Take a close look at your current goals and ask yourself if you’ve struck the right balance between the short-term and the long-term—or, as Drucker put it, between keeping your nose to the grindstone while lifting your eyes to the hills. 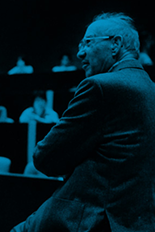 In this 2004 talk to an audience at Claremont Graduate University, Peter Drucker propounds the idea that executives must balance planning for the short term and the long term. The transcript is held by the Drucker Archives, a part of the Drucker Institute. 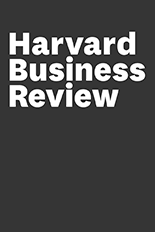 If you want to know more about the long-term mindset of Amazon, albeit from a single perspective, then former company executive John Rossman offers a helpful look, focusing on the company’s leadership principles and sharing war stories. 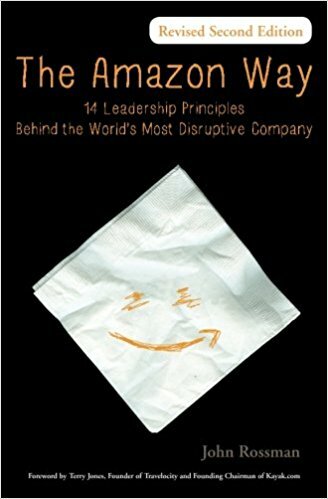 Two important themes are customer focus and experimentation, and Rossman draws the curtain back on some of Amazon’s failures as well as successes. 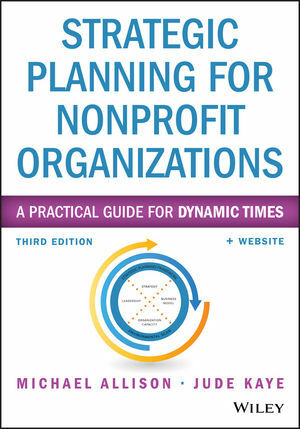 There’s no shortage of materials on long-range planning for the nonprofit executive, but this book is among the most respected. The authors focus on how to put together a strategic plan that’s in keeping with the organization’s mission and values. Equally important, they advise on how to integrate such a plan with fast-changing challenges on the ground. Case studies make the insights concrete.